Joseph Odom does not have any MLB stats for the season. Draft: 2013, Atlanta Braves, 13th rd. Joseph Caleb Odom…resides in Hoover, AL…attended Huntingdon College (AL), where he played for 3 seasons (2011-13). Hit .266 (17x64) with 5 runs, 3 doubles, 1 home run and 8 RBI in 28 games between AA Mississippi and AAA Gwinnett in Atlanta organization…most of season with Mississippi, hitting .298 (17x57) with 5 runs, 3 doubles, 1 home run and 8 RBI in 25 games. 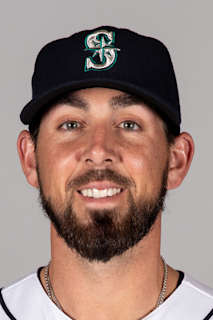 March 5, 2019 C Joseph Odom assigned to Seattle Mariners. July 20, 2018 C Joseph Odom assigned to Arkansas Travelers from Tacoma Rainiers. July 6, 2018 C Joseph Odom assigned to Tacoma Rainiers from Arkansas Travelers. April 2, 2018 C Joseph Odom assigned to Arkansas Travelers from Tacoma Rainiers. January 16, 2018 Seattle Mariners invited non-roster C Joseph Odom to spring training. December 14, 2017 Tacoma Rainiers claimed C Joseph Odom off waivers from Mississippi Braves. July 26, 2017 DH Joe Odom assigned to Mississippi Braves from Gwinnett Braves. July 20, 2017 C Joe Odom assigned to Gwinnett Braves from Mississippi Braves. July 4, 2017 Mississippi Braves placed C Joe Odom on the 7-day disabled list. June 26, 2017 Mississippi Braves activated C Joe Odom from the 7-day disabled list. April 4, 2017 Mississippi Braves placed C Joe Odom on the 7-day disabled list. January 25, 2017 Atlanta Braves invited non-roster C Joe Odom to spring training. September 12, 2016 Mississippi Braves activated C Joe Odom from the 7-day disabled list. August 30, 2016 Mississippi Braves placed C Joseph Odom on the 7-day disabled list. June 23, 2016 C Joseph Odom assigned to Mississippi Braves from Carolina Mudcats. January 7, 2016 Atlanta Braves invited non-roster C Joseph Odom to spring training. March 31, 2014 Joseph Odom assigned to Lynchburg Hillcats from Danville Braves. July 27, 2013 C Joseph Odom assigned to Danville Braves from GCL Braves. June 21, 2013 Joseph Odom assigned to GCL Braves. June 20, 2013 Atlanta Braves signed C Joseph Odom.